At Sales Development Expert we know that sales development is easy to talk about but difficult to execute. We don’t have an off the shelf Sales Training Program that is a canned one-size fits all approach. Sales people, sales teams, and sales forces all show up with different experiences, good and bad. Before we can really assist with one person or an entire global sales organization we need to first define, who has what, who needs what, where do you want to be in how long, what will it take to get there, and what is the ROI. However to give some idea of what we first define about Salespeople, below are two factors that will dramatically impact Sales-ability. Sales skills are not the only factors that determine sales capabilities. The severity, quantity and combination of sales strengths/weaknesses are even more important. As strengths these factors support a salesperson’s ability to execute. We examine the overall severity of the five most significant strengths/weaknesses, Sales DNA represents the power and impact that these factors have when they appear as major weaknesses. When they appear as hidden and invisible weaknesses they hinder execution of skills and process. These weaknesses are hidden and invisible because without in-depth knowledge of them, only the symptom of the weaknesses are apparent. Focus to fix the problem only strikes at the symptom. We must identify the root cause of the problem, (the hidden and invisible weaknesses) then abolish the cause and the problems go away for ever. For example we cold teach the best prospecting course in the world with all the best techniques, tools, processes, phrases, and closes for meetings, but without addressing the individuals need for approval they will not execute what we taught and there goes the real value of the sales training program. In this example their Need for approval will not allow them to do what is necessary to be a productive prospector! Hunting and prospecting are necessary to grow business and is a dying skill in today’s world with the ‘in-bound’ mindset. If you are dependent on someone or something else for top of the funnel new business development efforts, you are limiting your opportunity. Consultative Selling is an approach that helps salespeople deal with the issues listed above. 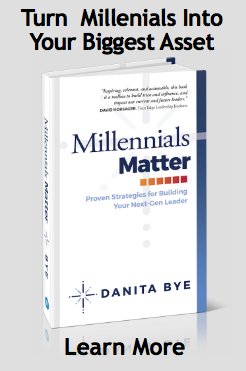 It is the most misunderstood term in all of sales with most people believing that a salesperson must ask questions, identify an issue and present a solution. This isn’t entirely wrong, but it does fall short of the intended meaning, and most salespeople aren’t actually selling this way. Instead, they have some prepared questions, ask some of them, and when a question leads to an issue, they begin to talk about a solution. When Consultative Selling is properly executed it can help a salesperson to differentiate, sell value, and sometimes be viewed as a Trusted Advisor. This can only occur after a salesperson has asked enough questions (dozens) to go as wide and deep as possible, leading to a discussion of issues, opportunities, implications, the people they affect, and potential outcomes. As much as consultative selling relies on highly developed questioning skills, equally well- developed listening skills are an even more important component. Qualifier – The Qualifier Competency helps us to understand how thoroughly salespeople qualify opportunities. Here, the percentage is an accurate guide to how well, how often and how effectively your salespeople are qualifying. Remember, this Competency has a tremendous impact on the accuracy of your pipeline and forecast. Closer – The Closer Competency helps us to understand whether or not your salespeople have the attributes that will enable them to convert qualified opportunities at the time they become closable. Some opportunities close later than expected because they were not closed at the first closing opportunity. While you have probably been very happy to get that business at a later time, those deals did fail to close when they should have – at the time they first became closable. While the Closer Competency explains what your salespeople are capable of accomplishing at closing time, closing has much more to do with factors that precede the closing step of the sales process. Account Manager – The Account Manager Competency includes the skills that are suitable for account management, which we define as assigned accounts they are to manage, handhold, solve problems, maintain and when possible, grow. Farmer – The Farmer Competency includes the skills that are suitable for farming which we define as large assigned accounts where salespeople are responsible for growth across the enterprise. Sales Posturing - Although sales effectiveness is typically measured by revenue, there is more to selling than the end result. All too frequently the end result is simply a sum of its parts, a bi- product of a salesperson’s motivation, determination, strengths, skills, competencies, strategies, tactics and posturing. Sales Posturing includes the qualities that support whether salespeople are able to effectively position their products and or services and company and make a memorable impression. There are many moving parts that need to be addressed in an effective Sales Training Program. 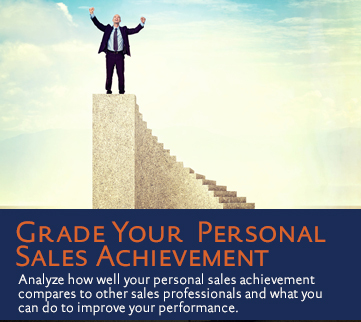 Take the Sales Achievement Grader to see where you stand!